As any marketing professional or business owner working today can tell you, there’s never been more pressure to be so many places at once. Surf over to any digital business blog, and you’ll see article upon article recommending new and different marketing channels – all of which, they claim, deserve your attention. If you’re a business owner working on your own, making sense of these myriad, ever-changing recommendations can feel overwhelmingly impossible. If you’re leading a marketing department, that same pressure is amplified by knowing that your boss will be looking over your shoulder, evaluating your performance based on the results you drive. Knowing how and when to prioritize different marketing channels is critical to your company’s success, but it isn’t easy. What you need is a clear, no-BS plan of action – and that’s exactly what I’m about to share. Be confident revisiting and revising your plan as needed to ensure it’s serving your company as effectively as possible. Before putting together a plan, it’s important to understand the options available. 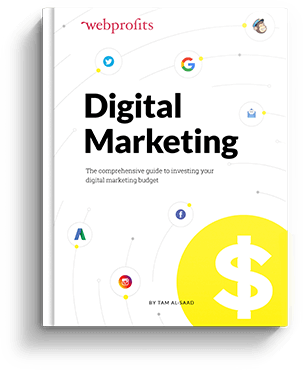 With that in mind, I’ve started with a breakdown of the most common digital channels, outlining their strengths and weaknesses, as well as when to use them. If you feel like you already know everything you need to know about them, feel free to skip ahead. Online Community & Forum Participation. Or you can click here to skip ahead to putting your plan together. In order to understand potential channel returns, you need to know how your website performs (and, ideally, that it’s been optimized to be maximally effective). Conversion rate optimization (CRO) refers to a testing program that’s designed to make your website as effective as possible through the deployment of incremental changes. Oftentimes, it’s even worth considering whether your website needs a significant overhaul – that’s a conversation for another time, though. I bring this up now not to get into a tutorial on CRO, but to emphasize that if you haven’t yet done conversion rate work on your site, you should invest in this area before spending your budget on channel campaigns. If you’re really in a rush then do them simultaneously, but make sure that you at least do some. Even if you’ve done CRO in the past, it’s often worth taking a fresh look at user behavior on your site, as it tends to change over time. Key Takeaway: Start by improving what you have through the proper implementation of CRO, then move on to investing in modern marketing channels. So, what exactly do I mean when I say ‘modern marketing channels’? And how can you decide which ones to invest in? Below, I’ll cover a few of the standard customer acquisition channels you may see mentioned online – or that you may already be trying to choose between. For reference, I’m only covering digital channels here, since they’re the easiest to measure and should be visible in your Google Analytics account. Traditional marketing channels (such as print ads, TV adverts, etc) may also play a valuable role in your campaign, depending on your target audience. What it is: Email marketing is just as it sounds – sending messages to people who have expressed interest in receiving email communications from you, typically with the intent of encouraging sales or other types of engagement. Website visitors who sign up to receive your newsletter can be sent ongoing, content-based email sequences that nurture them and educate them on your company. Highly-engaged email subscribers – for instance, those who regularly open your messages or who have purchased from you in the past – can be segmented and sent special discount opportunities or VIP offers. Shoppers who have abandoned their carts in your e-commerce shop can be sent personalized emails that lure them back to complete their purchases. Average costs: You’ll need an email provider like Drip, Vero or Mailchimp to run a campaign; expect that to cost you $20+ per month, depending on the package you purchase. You may also incur a one-off cost if you choose to have an HTML email template designed (stock templates and plain text messages work for many businesses as well). Further, if you hire out the creation of the messages that populate your email sequences, expect to pay between $50-$400+ per email; this isn’t strictly necessary, as you can write them on your own if you have a talented, conversion-oriented copywriter internally. Acquiring email addresses to send to may represent an additional cost as well, if you aren’t using free methods for driving opt-ins. Sending solus emails – essentially, emails sent to someone else’s database – will incur fees based on the size and demographics of the audience you’re targeting. Time to see results: Depending on the size of your email list and the type of emails you’re sending, you may see results immediately or you may need some time to get traction. 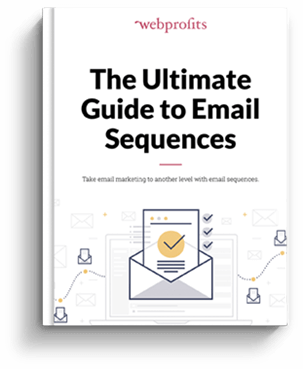 Some marketers suggest that it’s possible to generate $38 in revenue for every $1 spent – a 3,800% ROI – with email marketing. When to use it: From the start. Email marketing pairs well with many of the other channels mentioned in this guide by enabling prospects to form an ongoing relationship with your company. According to some estimates, it takes a prospect 6-8 “touches” (or engagements with a brand) to become a viable sales lead. Techniques like PPC, SEO and content marketing (discussed in the following sections) will get people on your site, but they won’t necessarily keep them coming back. Getting permission to email visitors directly gives you the opportunity to make these necessary appeals over time. Main drawbacks: Email providers are cheap, but setting up true email automation can be confusing – and mistakes made in who receives which messages, and when, can leave subscribers frustrated. What it is: PPC stands for “pay-per-click,” and if you’ve seen results appear above Google’s organic search results with the little green “Ad” tag, you know what this channel looks like in the wild. This particular form of advertising is considered to be highly-targeted, as you bid on the specific keywords you want and reach potential customers at the exact moment they’re interested in your product or service (or use a programmatic advertising service to handle these negotiations for you automatically). PPC ads are most often seen in the form of search results listings (on Bing, Yahoo, and other search engines, in addition to Google). However, the term can also encompass display network placements, banner advertisements, retargeting campaigns, and other tactics that involve a set fee that’s charged whenever a web user clicks on one of your company’s ads. Average cost: PPC ad click costs depend on your industry and the particular keywords you’re advertising for (understandably, it’s more expensive to place an ad for “shoes” than it is for “womens trainers in new york,” as there are more companies competing for general, top-level keywords than there are bidding on more specific, targeted “long-tail” queries). According to Wordstream’s CPC data, the U.S. average CPC is between $1 and $2 on the search network. It’s also worth noting that the best way to get results is to send any new visitors you acquire via PPC to a targeted, specific landing page. You may already have one that’ll suffice, but investing in new ones (either by hiring out the design or through a service like Unbounce) can drastically improve the conversion rate and ROI of PPC advertising. Doing so may represent an additional cost, but it may be recouped in your overall campaign performance. Time to see results: With PPC advertising, you can start seeing visitors to your website as soon as your campaign is launched. You will, however, need to plan some extra time for managing these campaigns, to ensure your customer acquisition costs don’t exceed their average lifetime value. When to use it: Use PPC when you have the available budget to do so, when you have internal expertise to manage your PPC campaigns profitably (or access to external guidance that’ll do the same), and when you’re relatively confident in the funnel you’ve built to channel new website visitors into deeper engagement. Main drawbacks: PPC can get expensive – fast – and costs can spiral out of control if it’s not regularly maintained and optimized. It’s also linear in its scalability, meaning that it doesn’t get much cheaper the more you do (beyond the benefit of ongoing optimization). What it is: SEO, or “search engine optimization,” involves making changes to your website that are designed to make it more appealing to the search engines. The theory goes that, if the search engines understand the content of your site and believe it to be valuable to the people querying them, they’ll “rank” you higher in the results displayed whenever users search for terms that are relevant to your business, resulting in an influx of new site visitors. Ranking higher comes with tangible benefits. In a previous company a few years ago, I saw a keyword that earned a 5% CTR for paid ad position #1, but a 33% CTR for the same keyword in the #1 organic spot. That was before Google started withholding keyword performance data, but it remains clear that there’s value in earning top rankings, apart from paying for them with PPC ads. There’s also a separate set of local-specific SEO best practices, which is most often used by small businesses with brick-and-mortar locations to ensure their sites are displayed whenever local search terms are queried (such as “best ice cream shop in queens”). Average cost: If you have the skills, time, and experience, you’ll be able to implement many SEO best practices on your own for free. If you’re outsourcing the work, then you could be paying $75 – $250 an hour. Bear in mind, as with anything else, the price often reflects the experience of the provider, and quality of the work provided. With harsh penalties handed out by Google for websites that take shortcuts to “trick’ the algorithm, I would strongly suggest SEO is not the place to pinch the pennies. Part of the variability inherent in SEO campaigns is that the practice is largely dependent on the search engines’ algorithms. Google, Bing, Yahoo and others are continually refining their strategies, forcing SEO to evolve along with them. As an example, take Google’s recent prioritization of mobile websites. As the engines’ algorithms grow and change, marketers must change their priorities as well to keep up. When to use it: Bake SEO into the start of your campaigns, preferably from the launch of your website. Beginning with a proper SEO foundation saves you time down the road (versus having to undo costly errors), in addition to amplifying the impact of other on-site promotional methods. There’s little point, for instance, in investing in content marketing if the search engines’ automated indexing programs aren’t able to read your site’s content properly due to an SEO error. This is typically a quick fix you’ll make when you start an SEO campaign, which is why it’s important to implement proper SEO from the start. Main drawbacks: Focusing on SEO exclusively as a promotional channel takes time, and changes in the search engine algorithms can instantly negate your work if you follow manipulative grey or black hat practices. The constant changes also mean that what’s worked well in the past won’t necessarily work now or in the future, even if it is white hat. As a rule, it’s best to keep SEO best practices in mind as you carry out any promotional strategies, even if you opt to begin with others in order to drive traffic faster. Helping your organic SEO efforts by educating search engines on the products and/or services you sell. Essentially, using content marketing gets you in front of new top-of-the-funnel audiences and continually engages them with new content as they move through your sales process to an eventual conversion. Achieving these goals requires the creation and implementation of a defined content marketing plan. While 53% of the most effective content marketers have a documented strategy, 68% of companies using content marketing have no documented strategy at all. Average costs: The costs required to carry out a content marketing campaign will vary based on the amount of work you take on yourself. If you have the time and skills, you can create content yourself at no cost – just look at success stories like Gary Vaynerchuk and Brian Dean. If you decide to outsource your content marketing, you’ll either work directly with a freelance content creator or with an agency that operates on a monthly retainer. Freelance bloggers, for example, generally charge between $0.05 to $2.00 per word, depending on their skill and expertise. Outsourcing work on an infographic could cost you $1,000 or more. The promotion of this content is then a further additional cost. The rule of thumb is that you should spend as much promoting the content as you did creating it. That cost can come through advertising (for example, through Facebook) or through free channels (like email outreach) with various expected levels of success. Should you choose to go the outsourcing route, take the time to ensure that whoever you’re working with has both the necessary skills and a clear understanding of the goals you have for your content’s performance. Time to see results: In general, content marketing can take up to six months to start driving results, depending on your goals. When to use it: Use content marketing when you have access to talented content creators in-house, or when it’s important to your brand to build up the perceived thought leadership that comes from releasing high-value content. Content marketing can also be used as a natural complement to SEO, as publishing great content supports the search engines’ explicit goal of prioritizing useful results. Main drawbacks: Content marketing takes time, and few of the pieces you release will be successful. Our Web Profits co-founder, Sujan Patel – an expert content creator – still estimates that only one out of five articles he publishes goes on to be successful. What it is: Organic social media marketing (also known as creative social) involves creating profiles on the sites where your target customers are most active, and publishing updates intended to engage these audience members. 84% of social media users worldwide have “liked” or followed a brand or product on social. 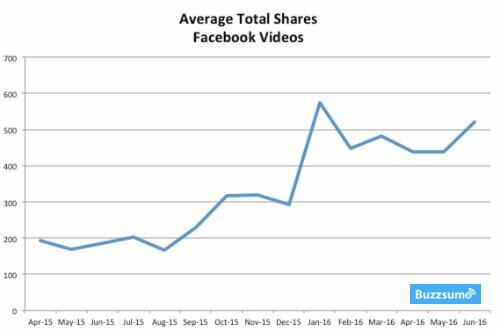 This makes sharing video content on social channels an appealing prospect. If your company doesn’t have the resources to create video internally, you’ll need to either invest in a tool like Animoto or hire an outside company (which could run you $5,000+). 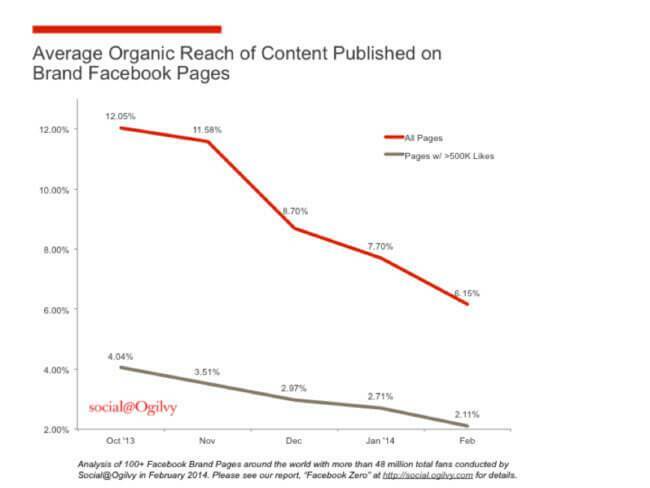 Unfortunately for marketers, Facebook’s organic reach stats have improved only slightly since then, with Ignite Social Media reporting bumps as high as 3.5% of fans reached. While it’s possible to score a quick viral hit, it’s unlikely (and it’s even less likely that doing so will result in lasting brand recognition). If you plan to go the organic social media marketing route, expect to spend at least 3-4 months getting to 100 organic visits daily. When to use it: Because many consumers expect brands to provide support via social media, it’s a good idea to maintain an engaged platform on your industry’s preferred sites regardless of whether you focus on social media marketing as a growth channel. In other instances, consider your audience’s behavior. If your followers engage regularly on social media, it may be more important that your brand be an active part of the conversation there. If they’re largely silent on social, your efforts may be better invested elsewhere. Main drawbacks: The low reach of organic social media marketing can make it feel a bit like shouting into a void. Further, opening up your business socially gives those who are unsatisfied with your products or services a public forum for airing their complaints. 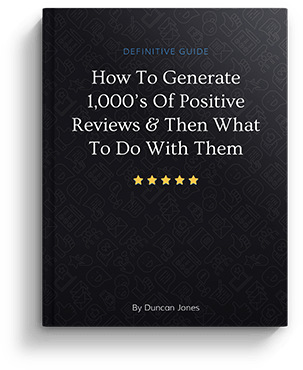 Have a plan in place for dealing with negative reviews, feedback or comments before launching a social media marketing campaign. What it is: While organic social media marketing takes time to build engagement, paid social media marketing captures views immediately with ads that put your message in front of Facebook, Twitter, Instagram or LinkedIn users. Pinterest offers a Promoted Pins program to advertisers in lifestyle niches, while Snapchat has recently launched a self-serve ads platform. Average cost: Paid social ads are typically billed on a CPC (cost per click) or CPM (cost per 1,000 impressions) basis, and vary by the ad type and network chosen. Time to see results: As with PPC ads, paid social media ads can begin driving traffic and conversions immediately upon launch. It may, however, take some time for your campaigns to become profitable as you test different creatives and targeting options. When to use it: Use paid social media advertising when your audience is active on your targeted network, and when you have the appropriate systems in place to turn followers who click on ads into leads. With ads often resulting in views of your profile, they tend to work best when combined with a strong organic social media strategy. If possible, pursue paid social ads when you have someone internally who has the analytical nature needed to design split tests and track ROI results (or who, ideally, has past experience running these types of campaigns). Like PPC, the learning curve for paid social campaigns can be steep and expensive. What it is: Influencer marketing aims to circumvent the challenge of building an audience online by encouraging established industry authority figures to share your product or service with their existing followers. In practice, influencer marketing shares similarities with both social media marketing and referral/advocacy marketing (discussed later in this guide), though it retains enough unique characteristics to qualify as a separate channel in its own right. In theory, influencer marketing makes sense. An influencer, sharing your content with their audience of millions, is going to drive better results than you pushing the same information to your social followers – not just in terms of volume, but in the implicit authority granted by the influencer’s recommendation. Average cost: Building relationships with existing influencers (or investing in your own influence) is, technically, free. As with social media marketing, however, you can speed the process up by partnering with services that solicit paid recommendations from established authority figures (at least, you can for now). Time to see results: Influencer relationships aren’t built overnight (and they don’t come from firing off a message to your industry’s top prospect saying, “Retweet me!”). The process can be sped up with the use of paid promotions, but it can also be expedited by targeting the appropriate influencers and having a product or service that’s genuinely valuable to the influencer’s audience. When to use it: Make influencer marketing an ongoing part of your promotional efforts by cultivating relationships with authority figures well before you ask them to share your information. As a “hack,” incorporate influencer marketing into any content marketing efforts you undertake by referencing popular authorities in your space within the content pieces you publish. Demonstrating your respect for their expertise and, effectively, promoting them for free to your audience may make them more likely to share your work. Main drawbacks: Popular influencers can be difficult to connect with, as you can imagine. Mishandled influencer marketing campaigns also run the risk of being perceived as inauthentic by audiences that crave natural, unbiased recommendations. Whenever and however you take these campaigns on, do so with a “win-win” attitude that ensures all resulting promotions benefit both your company and any influencers involved. What it is: Digital PR refers to getting your company mentioned on top industry websites. For instance, our hypothetical software company above might benefit from being profiled on Mashable or TechCrunch. Average cost: Costs can be low if you handle media inquiries yourself. Hiring a digital PR firm on a retainer generally starts around $2,000 per month. Time to see results: The average time to see results with digital PR can vary wildly. If you’re able to score a top story in a major publication, the immediate impact can be tremendous. But if your product isn’t noteworthy, you may only ever see marginal returns from long-term efforts. When to use it: Engage in digital PR when you have something genuinely worthy of being promoted. You’ll face much less of an uphill battle trying to get your stories to catch on than you will by pushing uninteresting or mediocre messages. Main drawbacks: PR is never a guarantee. Investing in paid ads, for example, at least guarantees that your message will get in front of a targeted audience (whether or not they ultimately engage with it or with your company in general). With PR, however, you can invest significant time and energy into promoting a message about your company and wind up with very little to show for your efforts. What it is: Guest publishing is an offshoot of digital PR where, instead of trying to get other publications to cover your story, you become a guest author and contribute articles to these same publications. For instance, a software company founder could publish articles to Entrepreneur.com, which would position them as an expert, while also driving interest in the company’s product. By doing this, the company gets instant access to Entrepreneur’s large audience, along with the longer-term SEO impact of the magazine’s backlink. Average cost: If you handle guest posting on your own, the costs can be minimal; essentially, all that’s required is your time to create and submit guest articles. If you hire an agency to perform the work for you, expect to pay either a per-article fee or a monthly retainer. Time to see results: Again, the length of time to see a payoff with this strategy will vary according to the caliber of publications you’re able to attract, as well as the time it takes for each of your articles to be published. 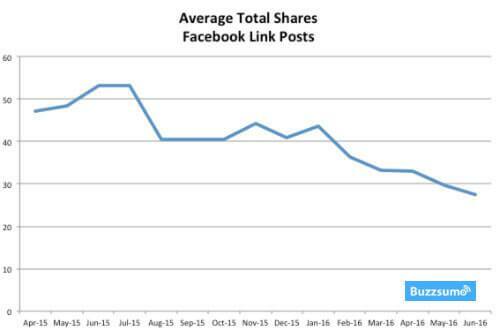 Web Profits’ Sujan Patel estimates that it took at least six months before his guest posting campaign delivered results, and 18-24 months before its full impact was seen. When to use it: Once you’re comfortable with creating and promoting your own content, it’s a good idea to reach out to others to publish your content. Having examples and results can make a huge difference in your chances of having a guest post accepted. It should also be used to supplement your content marketing and SEO efforts. If there are no opportunities for you to contribute guest articles – or if your target audience members aren’t accustomed to getting information in this way – you’ll find that your efforts are better invested elsewhere. Main drawbacks: As with digital PR, there are no guarantees that your guest contributions will be accepted or published. In some instances, you may be required to submit a full draft of your proposed article for consideration, which means you’ll be on the hook for creating the content without any advance knowledge of whether or not it’ll be accepted (though, you can always use unpublished articles within your own campaigns, if necessary). What it is: Affiliate marketing is similar to referral marketing in that you’re basically encouraging others to become your salesforce. But where referral marketing programs grow based on user interest (perhaps in exchange for a defined bonus), affiliates promote your product or service because you pay them to do so. Typically, affiliate marketers are compensated with a percentage commission based on the number of conversions they send your way. Depending on how your affiliate program is structured, affiliates may be your existing customers or they may be professional affiliate marketers who make a living out of connecting prospects with products like yours. They may also find you through affiliate networks like Tapfiliate that facilitate affiliate exchanges in exchange for a commission. Average costs: Implementing your own affiliate marketing can be done inexpensively by partnering with a service like ShareASale. You can also pay to host your own affiliate program on your web servers, and you’ll need to account for the commissions to be paid out to successful affiliates when calculating channel performance. Time to see results: The traction of your affiliate marketing program will likely progress at the same pace as your company’s overall success. Most affiliate marketers want to represent products that are proven successes – they may not be willing to take chances on your program if your product is relatively unknown. When to use it: Consider the norms in your industry. Are there existing affiliates promoting products? How widespread are these types of promotions? Don’t go to the effort of creating an affiliate marketing program if you aren’t confident there will be active affiliates to carry out the eventual promotions. Main drawbacks: You have to trust that the affiliates you bring on will sell your company and its products correctly, and that they won’t make false promises you can’t actually deliver on. Because they aren’t your employees, you won’t have the same strength of relationship you’d have with real salespeople, nor will you have the same kind of loyalty. Because affiliates often represent multiple products, you may not get a full share of their attention – especially if your offer doesn’t perform well for them. Further, expect that you’ll need to put time into engaging and motivating your affiliates. With the number of affiliate promotion opportunities out there, you’ll need to make your offer stand out to top earners – and releasing a few banner images to use as collateral isn’t going to do it. In my experience, most affiliate programs end up being a high number of affiliates each delivering a small number of leads/sales. However, you occasionally find a partnership that works really well and can then build a relationship from there which benefits you both a lot more. What it is: Imagine if every one of your customers referred two more customers – and that the cycle continued ad infinitum. That type of effortless growth is the principle behind viral and referral marketing. “Viral” marketing encompasses any strategy designed to provoke these viral loops (you’ve likely seen case studies of Dropbox and Uber’s viral success), while referral marketing typically refers to structured programs that incentivize customers to send other new buyers your way. Average costs: In addition to the time required to set up and run these campaigns, you may also have costs associated with any referral platform you use and with any incentives you offer new customers. Time to see results: If your program is structured well, you may see results very quickly. Dropbox, as an example, went from 100,000 registered users in September 2008 to 4 million users 15 months later, thanks to the implementation of its referral program. When to use it: Do not undertake a viral or referral marketing campaign until you’re confident your existing customers are happy with your offering – and that they won’t be offended by the request. Some consumers will be happy to naturally make referrals on their own, but may be uncomfortable with such a direct request. Main drawbacks: Successfully launching a viral or referral marketing program requires a number of difficult decisions, such as choosing an incentive that’s appealing enough to prospects to provoke action without cutting too deeply into your profits. In addition, you’ll need to provide for the proper tracking and distribution of referral bonuses, either by hand or with the use of an automated tool you’ll need to both choose and install. What it is: Creating a free app or web utility that site visitors like so much that they share it with their friends, prompting referral growth. Technically I would consider this a form of content marketing but, given it requires a much bigger investment of time and effort, I have kept it separate. Average costs: Unless you have talented full-stack developers and UX/UI designers in-house, expect this method to get pricey. Even basic web apps cost $5,000-15,000 to develop; more extensive projects can easily run from $60,000-$200,000. Time to see results: As long as you’ve developed something people actually want to use, this strategy can drive fast, scalable results after its launch. 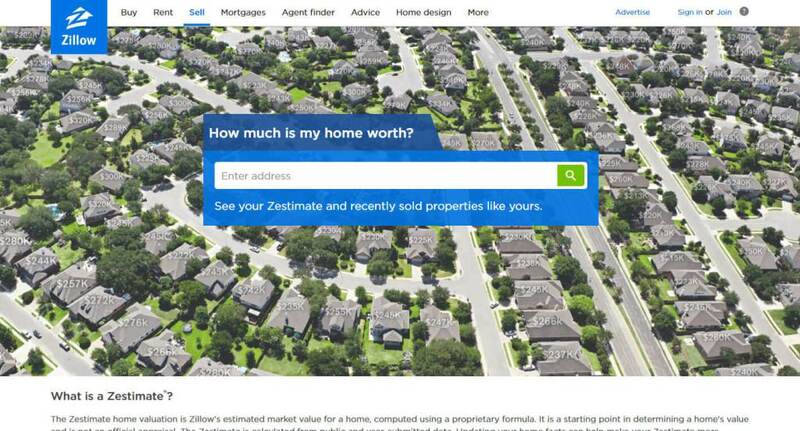 Take the case study of Zillow, the real estate website, and its home price evaluation tool. Zillow’s chief marketing officer, Amy Bohutinsky, describes how she was given six months after the launch to take the site from zero to one million monthly visitors – with no ad budget – in an interview with VentureBeat. Thanks to the site’s first-of-its-kind home valuation tool, the company hit five million visits in its first month post-launch alone. When to use it: Building a web tool is a costly endeavor – and it’s one that’s not guaranteed to pan out if your audience isn’t interested in what it does. Adopt this strategy when you see a clear hole in your market for what you intend to offer, as well as when you can afford the necessary investments of both capital and project management time. Main drawbacks: The web is littered with free tools performing nearly every conceivable function. In addition to the costs mentioned above, there’s a very real risk that you’ll struggle to get your app noticed within this crowded market (unless, of course, you’re willing to throw even more at it with a paid ad campaign). What it is: Like social media marketing, participating in online communities and forums is an opportunity to “be where your audience is.” Except, in this case, instead of posting to sites like Facebook and Twitter, you’ll join conversations in online communities where your audience is active. For example, if you’re involved in digital marketing in any capacity, you might decide to develop a presence on the message boards of Inbound.org and/or GrowthHackers.com. You may also decide to participate in conversations on a broader Q&A network like Quora or Yahoo Answers. Average costs: Participating in online conversations requires only the time you put into monitoring the communities for relevant threads and the time it takes you to compose responses. Time to see results: Results with this tactic will depend on how active your chosen community or forum is, but because of the “one-to-one” nature of this approach (you’re responding to a single person, even if others in the community view your comments as well), expect these results to be incremental and cumulative over the long-term. When to use it: Use community and forum participation when your audience is especially active on these channels, or as an opportunity to gain early insight into a new market. Apart from using this channel as a way to develop your perceived authority, you can view the questions being asked as insight into your audience’s questions and needs. Ultimately, I like to think of this as a “growth hack” as much as I do a marketing channel. If you have no budget, lots of time and small targets, it could get you a few customers. Airbnb, for example, did something similar in their early days by leveraging Craigslist ads (though they did so using automated tools, rather than manual responses). If you’re a larger, more established company, however, know that this isn’t really a scalable approach, and that your investments are likely better spent elsewhere. Although, it could have a positive impact on your SEO. Main drawbacks: Apart from the question of scale, there’s an issue of inconsistent engagement. Some forum threads or community questions get thousands of views; others get just a handful. You won’t know which is which, however, until after you’ve invested the time into answering, so look at this tactic more as an ongoing supplement than a marketing channel that’s going to drive your company’s entire success. Key Takeaway: If all of this sounds overwhelming, don’t panic. Not all channels will be a fit for every business, and you don’t have to participate in all of them to be successful online. If you’re just starting out, it’s often better to invest in a select few where you feel your advertising budget will have the greatest impact. Before you can begin the process of choosing marketing channels, you need to understand your business goals, your budget and your area(s) of expertise. What are your business’s goals? This is, effectively, the most important question you need to answer when deciding between marketing channels. What constitutes success for your company might be very different from another business – even if that business is in your industry. Bear in mind that, even if you select multiple goals on which to focus, some goals – naturally – will have greater importance than others. In my opinion, driving sales, leads, or sign-ups should always be the overall primary objective. All other goals, and the channels that deliver them, are a by-product of ultimately building to sales, leads, and sign ups. They can serve as good indicators to future performance of the primary objective, so long as they are followed up with tactics that help deliver them. For this reason, it’s a good idea to separate out your “key goals” from others that you’ll track to measure the health of your campaigns. Understanding which metrics most clearly demonstrate your marketing success will also help you prioritize your marketing spend when difficult decisions must be made regarding how and where you’ll allocate your resources. How fast does your business need these results? If you’ve just launched a new software company (or if you’ve been missing your targets for some time), you need results fast. If, on the other hand, you want to invest in building your company’s brand authority, you may be thinking more long-term, with targets that you’ll need to hit 6-12 months down the road. The speed at which you need to drive results will influence the channels that are most appropriate for your campaign. You should have this already but, if you don’t, you also need to consider which channels are most likely to drive great results based on who your target customers are and how they behave online. Imagine that you’ve settled on social media as a possible channel – maybe because you’re already active there or because someone on your team knows social media marketing. Now, what would happen if it turns out that your target customers aren’t particularly active social media users (or, alternatively, that they’re extremely sensitive to being advertised to on these networks)? What do I mean by ‘extremely sensitive’? Here’s an example for you… I’ve spoken to several female friends in their early 30s who are very angry at having been shown ads for fertility clinics in their Facebook feeds. Talk about inappropriate! As women in their 30’s with no children (or none listed on Facebook, at the very least) they technically fit into the target audience. But they have chosen not to have kids at the time and found the ads assuming they have fertility issues to be quite offensive. What are my target customer demographics? What pain points do my customers have that my product or service resolves? Where are my customers spending time online? How receptive are my customers to advertising? What types of offers are my customers most likely to respond to? We like to compile a buyer persona or customer avatar, both to answer these questions and to check the targeting of future marketing campaigns. Hubspot has a great template to use when you’re ready to go through the process. Some channels are more expensive than others. Launching a PPC campaign (with a landing page) or building a free web tool requires an upfront investment, for example, while content marketing and guest publishing can be done practically for free if you’re able to write and promote the content yourself. As you’re planning your channels, you’ll need to account not just for your initial costs, but for the level of spending you’ll need to maintain until you’re able to successfully leverage them. You may not need eight months to optimize your PPC campaign, but unless you’re a PPC wizard, you shouldn’t expect to be instantly profitable from day one. If you have more time than money – or if you aren’t able to sustain the requisite spending of some channels over the long-term – you may be better off selecting channels that require a higher time cost versus their dollar cost. You’ll also need to take your budget into account as you decide how many channels you’ll invest in. If your budget is small, you’ll get more bang for your buck by doing one or a few channels well than you would trying to spread it across every place your customers spend time online. Finally, consider the opportunity costs of each channel over another. If you’re a software company with less than six months of runway left, you may not have the 6-12 months to wait for channels like content marketing and SEO to deliver results. That doesn’t mean you should ignore these channels entirely; it just means that any budget you have to allocate should be invested in the channels that will deliver sales as quickly as possible in order to keep your company afloat. What expertise does your team have? The question of “time versus money” above indirectly relates to another: what expertise exists within your organization that can be leveraged for marketing purposes? This is easiest to visualize with an example: if you have a strong writer on your staff, embarking on a content marketing campaign will be less expensive for you than it’ll be for a company that has to bring on a writer. Similarly, if a member of your team has worked on SEO campaigns in the past, diving into this channel will be easier and cheaper for you than for a business that must bring on an SEO firm. Around the time I started at Web Profits, another guy came onboard from LinkedIn. Even though the company had been using LinkedIn before, we were able to pick his brain extensively and invest more in the channel to make it even more successful. That said, understanding how your expertise applies to your marketing channel selection is about more than past experiences. If you’ll be branching into a channel that’s totally new to your team, you’ll still need to consider how your skill sets and experiences will be best used. Do we have the knowledge to implement the channels? Think of knowledge not just in terms of your team’s skill sets but also in terms of your broader understanding of the role each marketing channel can play in your campaign and what it’ll take to execute it. Learning a new channel from the ground up costs much more in terms of your time than one you already understand – even if only at a surface level. Do we have the technical skills required? Many of the channels described above require creating media assets, new web pages, ad campaigns and even – in the case of releasing free web tools – new code. Gauge the level of technical skills your team has from an objective perspective, and use this insight to determine which marketing channels to pursue. Do we have the right characteristics? Are the members of your team more data-driven or creative? Do you have a mix of both onboard? Employing workers with strong creative skills might cause you to lean more in the direction of channels that involve written or visual content (such as content marketing or social media marketing), while a wealth of analytic thinking skills might send another company down the path of PPC advertising (which requires substantial data analysis to be profitable). Certainly, having expertise in a given channel isn’t a requirement, as all of the needs above can be outsourced to a freelancer or an agency. You can also try it yourself and could generate some great results if you’ve got the time to try and get it right. If email marketing really is the best channel for your company, but nobody in-house has ever touched a drip campaign before, you can outsource the task. You’ll just need to be sure these additional expenses are accounted for within your budget, and that your estimated channel performance is likely to offset the costs involved. Key Takeaway: There are many factors that go into channel planning, and no two companies will come up with the same answers to the questions above. Take the time to understand your business’s unique characteristics, and use the insight you’ve gleaned to begin forming a plan for your future channel allocation. In addition to understanding what your business needs and what skills you have that can be put in service, you need to know how your current marketing initiatives are performing. This information will tell you which current investments you should keep and which ones you should kick to the curb as you move forward. It’s also worth noting that this analysis can help you find missed opportunities within individual channels. For example, if you’re doing PPC successfully but your campaigns are meeting their daily budgets, increasing your budget could help you get more leads. It’s basically the same thing as doing CRO – just on a channel, instead of a website. From here, you can dig deeper into your Organic Search, Direct, Social, Referral, and Other reports to identify the specific sources of your traffic. The specific traffic sources you’ll want to track via analytics should be tied to your marketing channels and the goals you’re tracking. If you’ve defined success as the number of website visitors who have arrived on your site via Facebook, the chart above will be helpful. Finally, put your numbers into a spreadsheet so that you can track them over time, along with any supporting data required to compare channels against each other. Between each stage, Codeship has calculated the conversion rate, enabling the team to see where customers fall out of each stage by channel. In addition, they’ve divided the total campaign spend against the number of paying customers each channel has acquired to determine the average cost to acquire a new customer. In the example above, campaign spends are obvious – in the top row, the amount spent on Twitter Ads equals the total campaign spend. If, however, you’re using a channel that requires significant manual overhead (for example, spending several hours writing a blog post), consider including a campaign spend based on the value of your time. Bear in mind also that channels like content marketing or SEO can take significant time to deliver, and the conversion may not always be easy to track back to the activity. The Codeship example works best for channels with short, trackable returns. With these simple calculations complete, measure each channel against the others. Your goal is to find the channels that are cheapest and attract the most successful customers. 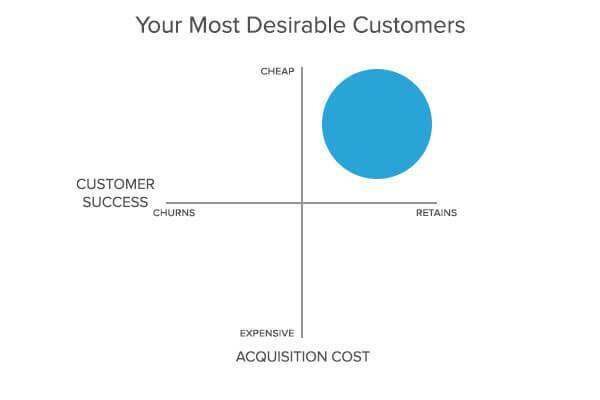 In the chart above, “desirable” customers are measured based on retention and churn – common metrics in the SaaS and subscription-based business worlds. However, your own definition of success may be different. It could be repeat customers, for instance, or it could be any other metric you’ve defined in the process above. Here, we can see that referral campaigns drove the most paying customers (15 total, versus 2 from Twitter Ads and 5 from Perfect Audience) while also having the lowest cost per customer acquisition (despite having a larger overall campaign spend). Ideally the Codeship spreadsheet would also look at the Lifetime Value (LTV) of a customer from each channel. Referral campaigns are great, but if the customers churn really quickly then the low CPA could be a misleading result. Try to draw similar conclusions from your own data – we’ll use them in the next step of the process. Key Takeaway: Analyzing your current channel performance requires the right data. If you aren’t yet using an analytics provider on your site, get one installed and set up the necessary goal-tracking features to measure the metrics you defined in Step 1 of this process. Invest time in understanding your provider’s reporting features – they’ll play a critical role in your ability to properly plan and shift your channel allocations. Now, with all the information you’ve gathered about your business, your customers and your current marketing channel performance (if applicable), it’s time to create a channel plan. How you’ll allocate your marketing budget to each channel. How many channels should I invest in? This is a tricky question to answer because… it depends. If your budget is large and your in-house team is skilled, you’ll naturally want to participate in more channels than a young startup with a limited budget and staff. If you’re completely new to digital marketing, start with 1-3 channels. Again, you don’t have to be everywhere at once. You’ll benefit more from becoming really good at a single channel, than spreading yourself too thin over several of them. Whether you’re just starting out or you’ve hit the point where you’re ready to invest in multiple additional channels, use the process described in the following example to “reverse engineer” the estimated returns of every channel you’re considering. Then, gauge their priority according to your budget. Imagine you’re Codeship, and you have a monthly budget of $10,000. If you know your goal is to reach 100 new customers each month, and you know that new customers acquired through referral campaigns, on average, cost you $67 – using the data above – spending $6,700 on generating referrals would, theoretically, meet your goals, while still leaving $4,300 to expand to other channels and diversify your traffic sources. However, the truth is most channels can’t just scale up infinitely; there comes a point where you exhaust the volume that can be generated through that channel. To use another channel as an example, there will only ever be a limited number of people searching for a particular keyword. You may continue optimizing so that you get as many people as possible clicking on your ad, and then the maximum number of those clicks turning into conversions/sales, but it will get to the point where increasing your budget will not get you additional conversions. That point could be in the very distant future, but it’s always worth testing a couple of other channels to find out where you can get the additional conversions from in the future. You may have developed a gut feel for the channels that’ll best suit your company by going through the channel descriptions and Step 1 (“Understand Your Business’s Needs”) above. Running the calculations on how many channels your budget can support may have also left you with an understanding of the right approach for your company. That said, if you’re still on the fence, there’s an even simpler approach I recommend: ICE Prioritization. 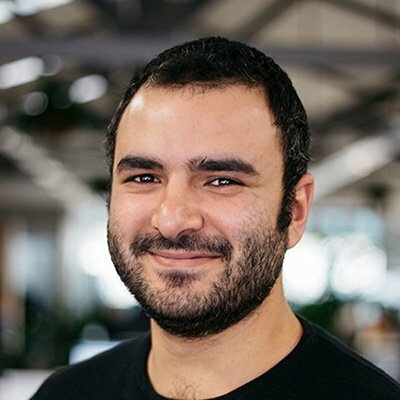 The original RICE system was developed by Sean McBride, product manager for tech communications startup intercom.io, originally with the intention of helping product developers decide which features to add to their offerings in the face of multiple requests. I’ve found, however, that with a few tweaks the methodology is just as applicable to those making decisions about marketing channel investment. Effort – How much effort you anticipate each channel will take to execute. Let’s pretend that I’ve decided to sell Fidget Spinners online*. Suppose I already sell them through AdWords, but I want more sales and I’m trying to decide between two channels: paid Facebook Ads and SEO. * I would never do this, I have an irrational hatred for the things, that is probably born out of the fact that I just don’t understand why they’re so popular. Like Kim Kardashian or Justin Bieber. The question here is, which channel could drive the most traffic to my site? Facebook: At last count, Facebook had 214 million users in the U.S. Though not all of them are interested in buying fidget spinners, it’s a safe assumption that most people who would buy one, use Facebook – that’s a pretty big potential impact. (I’ve kept it simple by focusing on just these two keywords. If I really was using AdWords already, I’d have much better keywords and idea of numbers). Given their popularity online, I would assume there are more than 1,000 fidget spinners sold online each month, so I think Facebook has a lot more potential for driving fidget spinner-related traffic back to my site. Now that I’ve thought about the potential traffic I could generate, I apply a score for “impact.” If I’m only working with two channels then I would keep the scoring simple at 1-3. If you use more channels or it’s really difficult to choose between them then use 1-5 or even 1-10. Facebook would get an impact score of 3, as it has higher potential for generating leads. SEO would get an impact score of 1, as search volume isn’t that high. To assign a confidence value, I need to think about how likely it is that the traffic I drive back to the site is going to convert into sales. Traffic from each source lands on your site with different intent. Paid search traffic has really high buying intent due to the nature of their search. E.g. anyone who searches “buy a fidget spinner” is highly likely to do just that when they land on your site (if your site is good enough). I’ve found Facebook traffic to be hit and miss. You have to get really granular with the targeting to get a high conversion rate, but even then it will be lower than PPC because you’re catching someone off guard to make a purchase, rather than when they’re actually searching for it. With that in mind, I’ll give Facebook Ads a confidence score of 1. SEO doesn’t convert quite as highly as paid search, as you often rank for long-tail keywords as well as the higher intent short keywords. It does convert well, though. I’ll give SEO a confidence score of 2. Finally, I’ll grade the effort I expect to put into each channel. This can be measured in a number of ways but it essentially comes down to the time and money you have to put into the channel to make it work. Facebook Ads are relatively quick to set up, and I probably already have a landing page from the PPC campaigns I’m running. It will take a bit of time to find the perfect audiences but I’m sure I’ll get some results in the meantime. I will however have to pay for each click, so there is some effort involved. I’ll give it a score of 2. With SEO, I know I’m going to be putting in a lot of effort to optimize my pages, rework my content, implement schema markup and recruit backlinks. I’ll also probably have to create and publish content. There are loads of people selling these online so competition for page 1 and the first few spots is going to be really high. For these reasons, I’ll assign SEO a score of 3. Now that I’ve assigned each channel a value for each criteria, I can bring them together to give an overall score. According to these calculations – based on assumptions about my business – it’d be more effective for me to prioritize running paid Facebook Ads over investing heavily in SEO. Of course, remember that your ICE scores are only one factor in the channel prioritization process. Definitely don’t spend too much time assigning values; it’s intended as a quick guideline more than anything. Don’t treat them as your set-in-stone commandments. Instead, use the scores you generate as one piece of the puzzle that is channel allocation. Side note: I actually use this method of prioritization for my day to day work too. “Should I prioritize writing that broadcast email, or create a wireframe for a new landing page?” After doing it a few times you should be able to get to the point where you can run rough calculations in your head. But when you don’t have a lot of headspace and have a lot of tasks you think are urgent, then it can be very useful to write them down and give them an ICE score to prioritize. Key Takeaway: Initial channel selections are, ultimately, part data and part gut feel. Don’t overthink things too much. Pick a handful based on what’s performing best for you or what your estimations (ICE, RICE or otherwise) suggest would be best for your company. Focus your efforts on those channels alone for at least 1-3 months, monitoring your results as you go. Gather performance data based on the length of time you expect your chosen channels to perform, taking into account any personal time-based restraints on when you need results. Are any of my channels significantly outperforming others? Are any of my channels falling short of my expectations? Have my interactions with customers over the testing period revealed other channels I should explore? What are my average CPAs and LTVs by channel? Have my available resources changed, and if so, how should that affect my channel plan? Now, just because you see one channel outperforming another doesn’t automatically mean you should chuck the underperformer in the waste bin. Instead, you need to dig in and see what’s causing the disparity. Are temporary factors influencing your results? Suppose you’re an e-commerce seller who started analyzing your channel data in November, and repeated your analyses in December and January. Several of your channels lost steam in January, so you should replace them, right? Not necessarily. Think first about what could have been occurring during this period that might have caused the decline. You probably see what I’m getting at here with the example of the holiday season, but holidays aren’t the only temporary factors that could influence channel performance. Maybe you sent out an email blast with a one-time promotion. Your channel reports for that month would likely show email marketing as a major driver of sales conversions, but those results may not be replicable if you only run these types of promotions twice a year. Are there any signs I should pull the channel immediately? Generally speaking, you should launch a channel with a relatively modest budget and then ramp up (if possible). This should circumvent you spending large amounts of money and not seeing results, but it’s important to keep an eye on performance at the early stages of launching a channel. That being said, if you are not seeing any results (that are aligned to your goals) after spending a significant portion of your budget, you should re-assess. There may be a problem with your tracking but it could be an issue with your implementation of the channel. If after assessing you think you’ve done all you can and you’re still not getting results, it doesn’t make sense to keep the channel running for the full length of the experiment. There may be other factors too that you’ll need to use your judgement to assess. You may find that posting on Facebook leads to a lot of negative comments and publicity. It’s best to try and deal with it as much as you can, but if it gets out of control then there’s no point in continuing the experiment and damaging your brand. Just come back to it later after you’ve ironed out the issues. Could this channel work again in the future? As you go through your analysis, record how and why your individual channels did or didn’t work. Review your notes periodically, as you may find that changing conditions over time make channels that weren’t successful before a better idea. As an example, running a Facebook Ads campaign may not be profitable at first if you aren’t familiar with the platform’s best practices, but imagine that six months in the future your business hires a marketer with expertise in this area, or that you bring on someone with Photoshop skills who can design significantly better images for your ads. Because your notes show that the earlier failure wasn’t due to the channel itself, you may find it worth revisiting. Key Takeaway: Channel selections should never be considered set in stone. As your company changes and you gather performance data, your marketing mix should evolve in order to improve its results. This kind of ongoing iteration is only possible, however, if you document what you’ve done and why it worked or didn’t work. Channel allocation is something that even experienced marketers struggle with. Successful marketing campaigns, however, require several channels working together in unison. Take, for example, a content marketing campaign that drives traffic (via Facebook Ads), links for SEO purposes, email marketing opt-ins and an email sequence that leads to conversions. You may build out each of these components individually, but you’ll really start to see the benefit when they work together. Don’t let that scare you, though. The worst thing you can do is to take no action in light of this information. Set your starting point and begin. With practice, you’ll start to see how different channels support your business, as well as how you can measure their impact and improve their results. Or, if you need a helping hand to guide you through the process, we’d love to chat. At Web Profits, one of the things we specialize in is “Fluid Online Marketing” – that is, marketing strategies that seek to allocate your monthly budget to the channels that are performing best for your specific goals. Get in contact with one of our strategists for a no-obligation chat on how we can help you make sense of modern marketing channels and develop a strategy that maximizes your ROI. According to expenses in SEO I would like to add key point about success fee model with should be included into a SEO cooperation model. IF model is based on, ”flat fee” only, agency don’t have motivation for increasing result. Even they have correctly established objectives the motivation is insufficient. From my perspective is good to add additional 30% budget for success fee. Thanks Marcin but I don’t really agree. Different payment structures work best for different businesses but, in my opinion, SEO is always an ongoing process and a good SEO agency/team/person should be looking to secure your business in perpetuity. Having success fees based on milestones can encourage short-term thinking, which can be very dangerous in SEO.